2. How does the story 'Come the Dreamtime' interact with 'Negotium Perambulans in Tenebris' if Negotium has five or more success tokens? 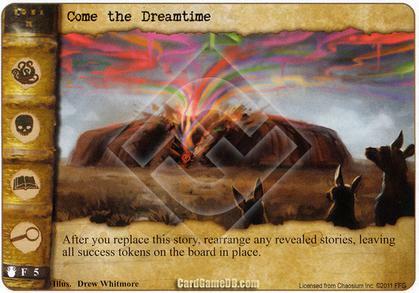 If you win Come the Dreamtime, can you re-arrange Negotium, and automatically win another story?